Yesterday was my dad’s birthday. I wanted to have this up earlier, and I have nothing but excuses as to why it didn’t get done. This weekend is the Miramar Air Show here in San Diego. I bring this up because my dad loves planes. As long as I can remember, there have been planes all around me – in his office, in our garage, in the house. Planes with motors, gliders with adjustable tails, simple planes with a rubber band to wind up the propeller. I remember winding up one of those rubber band planes a little too much and letting it go in a park. Who knew how far those suckers can go?? I don’t even remember if we found it. My dad is a silent man, but he shows his love in his own way. I remember Valentine’s Day meant chocolate flowers left on the table after he went to work. My sister and I were spoiled with nice new cars as new drivers. My mom has an iPad so she can carry around pictures of her many dogs whereever she goes. I knew Travis was a keeper when my dad gave him a tiny remote control helicopter. That thing is still in his office and sometimes I hear it whirring around (and sometimes running into the wall) when Travis is supposed to be getting things done. My car is stocked with flashlights, wrench sets, and screwdrivers my dad has given me. And nothing speaks of love like sitting quietly as dog after cat after dog gets added to the menagerie. I don’t know how he does it. My dad has never let me down. He’s always been there to support me and I owe him the world. I hope he’s around for many, many more birthdays. This entry was posted in about and tagged dad, family, happy birthday. Bookmark the permalink. 🙂 I LOVE that picture of your dad. A totally genuine look of pure joy. Happy birthday to him! 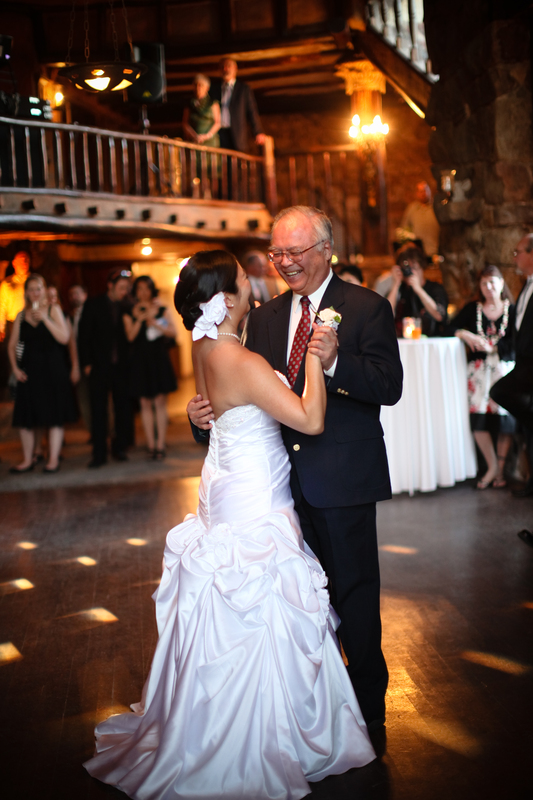 I love the pictures from our father-daughter dance. We both are just smiling the whole time! Such a fun day! Happy belated birthday, Leanne’s Dad! Lovely photo! Great fathers are true blessings.